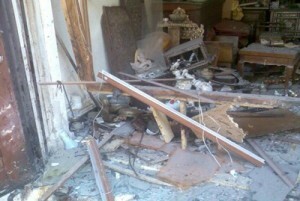 The attack took place in the Bab Tuma borough, in Old Damascus. The suicide bomber mingled with a group of people queuing for food and other basic necessities handed out by a (Christian) religious charity. No final figure for the dead and wounded is available. Damascus (AsiaNews) – A suicide bomber blew himself up in front of the Greek Orthodox cathedral in Bab Tuma, in central Damascus. Four people were killed and eight more wounded, Syria’s state news agency and the Syrian Observatory for Human Rights reported. So far, no group has claimed responsibility for the attack. The attacker mingled with a group of people queuing outside a religious building for food and medical care provided by the religious. 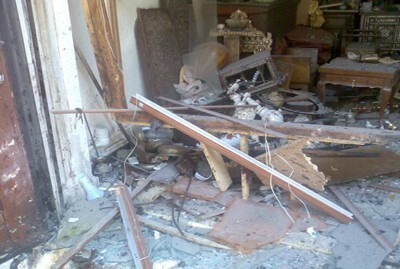 According to witnesses, the blast damaged a large section of the building. One of the oldest churches in the capital, the cathedral in Bab Tuma is the seat of the Greek Orthodox Church of Antioch.